Ksubi (formerly known as Tsubi) is a trendy Australian fashion label, co-founded by Dan Single, Gareth Moody, Paul Wilson, George Gorrow and Oscar Wright. The brand, founded in 1999, was merely a group of friends who wanted to experiment with art, and understand what they could get away with. They would screen print in Gorrow’s stairway, sew clothes in Single’s living room and their first expedition into denim would be ripping jeans on a balcony with an angle grinder. No borders, no straight lines! The label created headlines in 2001 for staging a challenging runway show where the designers set 200 live rats free. They claim this as a result of their imaginative mind set which cemented their position in the fashion industry. Considered as one of the most prestigious fashion labels in Australia, Ksubi also created a name for themselves overseas, winning over vendors such as Selfridges and Collette. 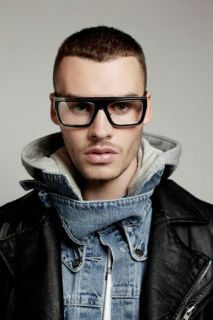 Let’s explore Ksubi eyewear collection that provides a wide range of funky and geeky designs. Conservative, hip or outlandish – the Ksubi eyewear range is classy and chic: no matter what your style is! It is forever fresh and captivating! Simple style put together in an extremely interesting manner, Ksubi entices, arouses and surprises you with its unique shades and patterns. Their eyewear consists of eighteen cool uber-chic designs, from the fashionably aware Australians, with everything ranging from aviator styles to metal mesh-shielded frames, and thicker acetate framed shades. 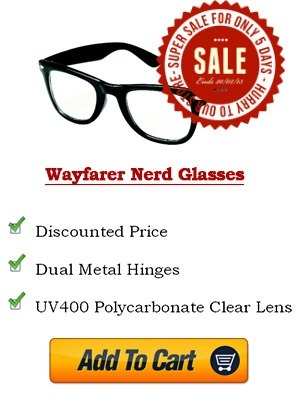 They utilize other heavy metals which provide an industrial look to the glasses with a futuristic touch. People are likely to find the most fabulous and suitable pieces from their collection. The Ksubi eyeglasses create a renewed look where rough canvas hats and bow-ties are muted; dystopian specs make a mysteriously captivating yet mildly alarming introduction to the new trends in eyewear. Their collection draws great attention across the world because of the unique colours, designs and shapes. Ksubi’s 2013 eyewear line is a tribute to royalty, religion and vintage luxury. With extremely attractive detailing in ornate gold acetates, mirrored lenses and luxe metals, their glasses replicate the Baroque undertones of the high street AD/BC style. The collection is unpretentious yet built with an extensive mix of styles, enthused by pop comic, steam punk and vintage – creating a divergent but amalgamated and original look. It has retained the position of undeniably one of the most illustrious Australian brands in the international marketplace. Ksubi has created an eminent presence and unusual following along the way. It is a trendy, chic and diva styled piece of art! Ksubi is a well-known brand due to its innovative design techniques. The newest frames are made in different shades and patterns that not only fascinate the customers, but leave them spell bound. Ideas, eccentricity and authenticity have developed Ksubi into a noteworthy subculture; one that embraces everything that is fashion, art and music. ‘The Cisco’, is a classic aviator that seems extremely complex, however looks simple and elegant on the face. This was a part of their 2012 WAR collection that had its inspiration rooted in the subculture. These are the third in the ‘side blinder’ series, possess the right mix of hard verse soft, effortless shape and a generally technical but wearable frame. It is just some loose fun over the structure, which seems to be so fresh. The leopard prints are seen on both acetate frames and garments, and the colours from each collection draw their inspiration from one another. The 2012 collection of twelve unisex optical and sun styles also included intricate detailing such as metals laminated with leather and high shine finishes. At the beginning, Ksubi approaches an eyewear collection in the same manner as they would approach a garment collection. 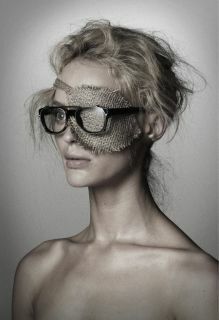 They view eyewear as an extension of fashion and a delicate piece of art! The wide range of hipster designs divulges the newest trends in eyewear fashion and flatters your outfit as the must-have accessory. While the market flooded with boutique eyewear brands, Ksubi always wishes to push the limits while staying accessible. There are no rules in the game. 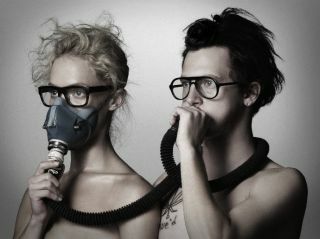 Their crazy ideas combined with their defiant spirit result in an impeccable aesthetic product! Remaining unaffected by customer trends, and taking the bold step of setting its own agenda, the social annotation that initiates from Ksubi is as thought provoking and relevant. Their limitless conceptual feats, signature denim or topical fashion aesthetic eyewear, the boys behind Ksubi aim at one generation and are already on their way to inspiring another. The sad truth is that the company went into receivership on 18 December 2013 which has left many staff members sacked. Their final wages and entitlements including superannuation are in doubt. Although there have been some necessary optimization of overheads, the company is continuing to maintain seven retail outlets throughout metropolitan Brisbane, Sydney and Melbourne in addition to a prevalent online retail store. They are also continuing to run a wholesale business, selling internationally and locally their three brands – Ksubi, Insight and Something Else. Ksubi is known for not adhering to the book and we want to believe their story is to be continued.